Brighter, more powerful, and more responsive through the entire range of the fretboard. 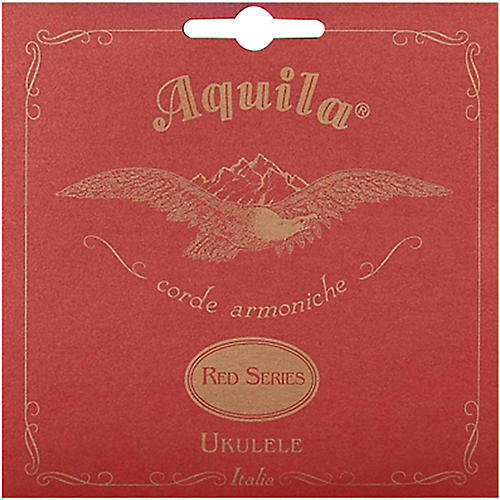 The Red Series by Aquila offers a unique feeling and a strong sound. Until now, it was necessary to increase a strings gauge to reach lower frequencies, which makes the string less bright and responsive. Aquilas new approach is nothing less than revolutionary: leaving the gauge unchanged, but increasing the specific weight of the material string by string. As a result, the instrument sounds brighter, more powerful, and more responsive through the entire range of the fretboard. The strings also maintain their intonation better (because thicker strings need to be fretted harder, pulling them farther out of tune). Get the most from your ukulele. Order these unique strings today.